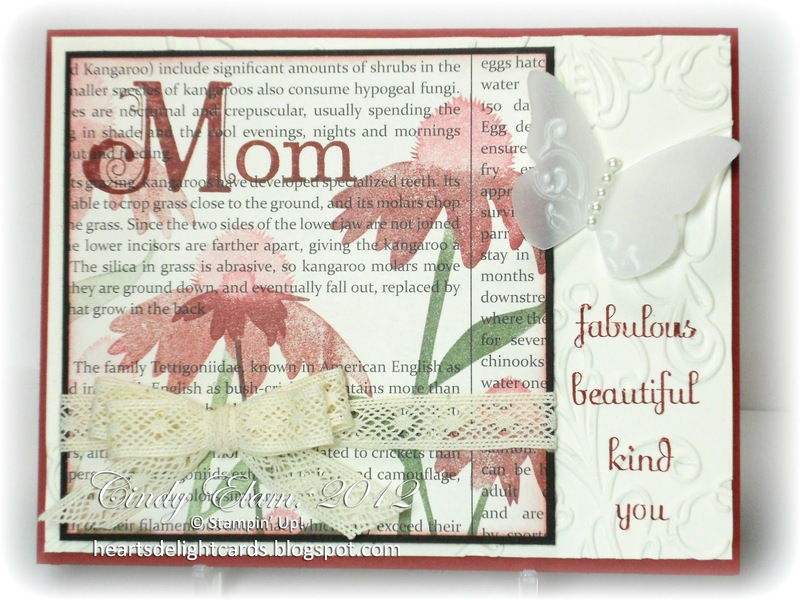 Heart's Delight Cards: SUOC44 - MOTHER'S DAY! What better excuse does one need to get out the stamps and ink, than to create a card that Mother is sure to treasure? That's the challenge this week at SUO Challenges - create a card (or gift) for dear ol' Mom! My momma's favorite color is red, so I grabbed Cherry Cobbler, since it most closely resembles the rubies she adores. 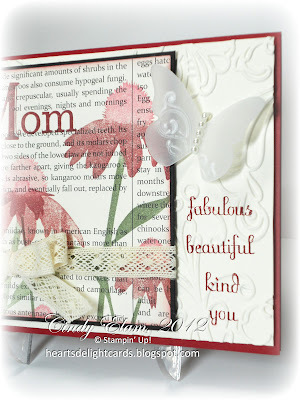 Since the card needs to be mailable, the gorgeous 3D flower originally created as an embellishment had to be left off. But that's okay - it can be used for another project that doesn't have to be mailed. :-) I'm sure you'll see it in the not-too-distant future! This technique of coloring the stamp with markers and then stamping on the First Edition DSP was demonstrated at the SU Retirement Party last Friday. Since the Inspired by Nature set is another one getting the old heave-ho to make room for new stamps, we used this for one of the make & takes, bidding it a fond adieu. Now, let's see your beautiful tribute to Mom! 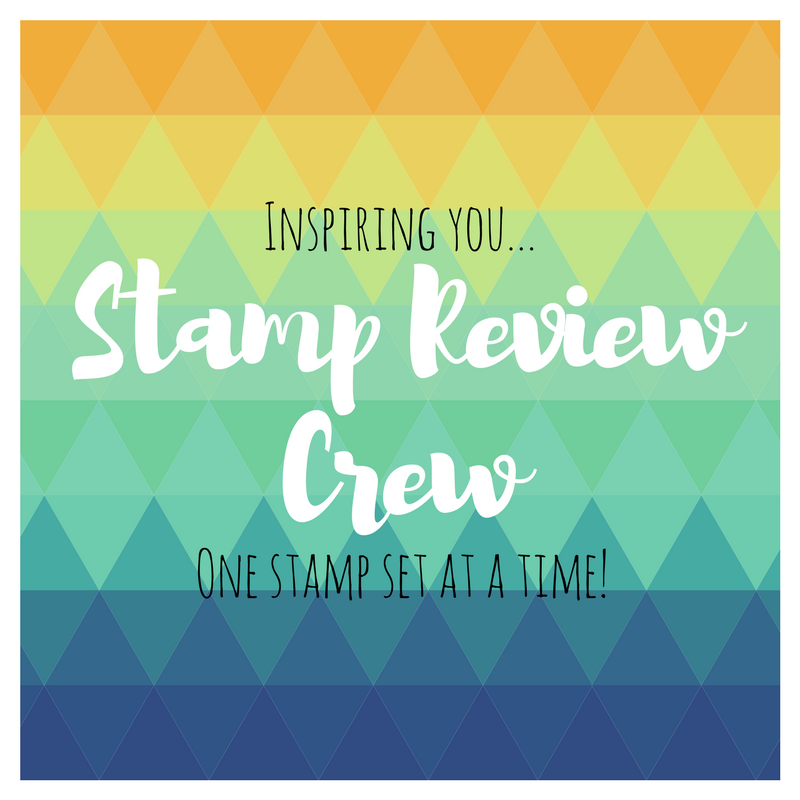 If you want to share it at SUO Challenges, please be sure that ONLY Stampin' Up! products are used. 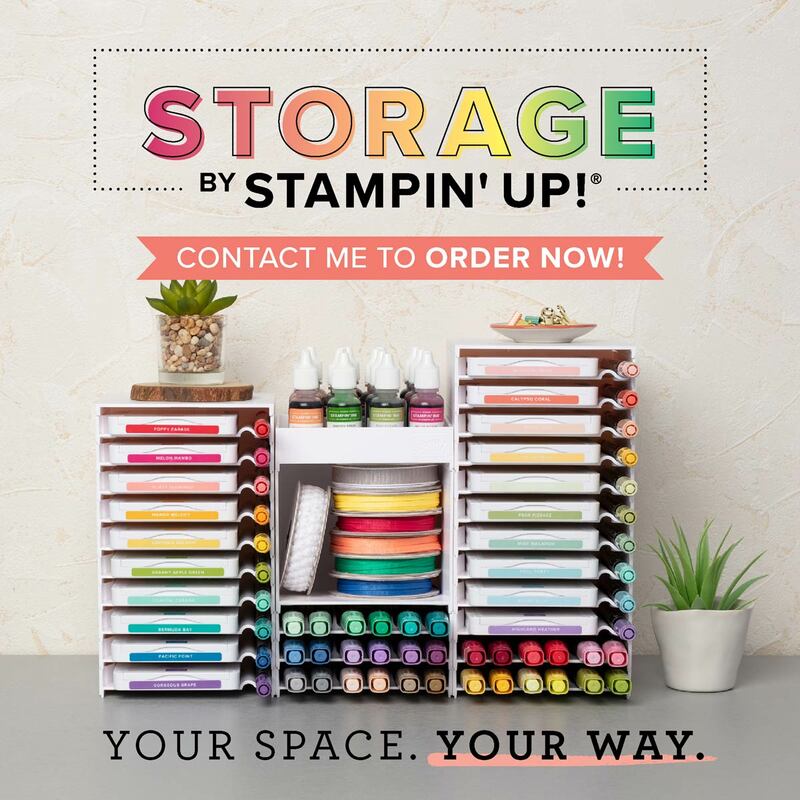 That includes punches and dies, as well as stamps and cardstock. If SU didn't make it, please don't use it on your submission! 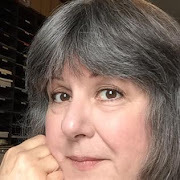 And, if you need inspiration to participate, SUO Challenges is going to start periodically inviting contributors to a special edition Guest Designer Challenge!!! 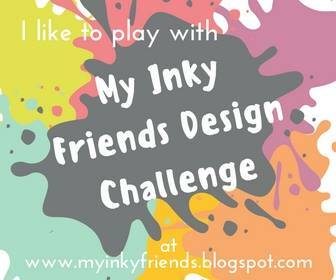 Every so often, a select group from our regular contributors will be invited to be Guest Designers. 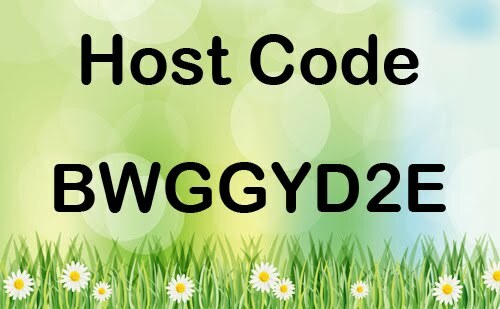 Even if you've never been chosen as one of the top three in any of the challenges, you can still be invited if you participate fairly regularly! Note: Retiring items are in red. Oh my this is positively gorgeous! I lOVE the flower in cobbler and would not have thought do it, but just LOVE it. Stamping on the newsprint dsp is such a beautiful look. Just love everything about it. PS: this is one of my favorite all time sets. I'll never part with it. Love love love this card!! Absolutely beautiful! I love how you inked over the text-paper! What a lovely card! The butterfly is just perfect.